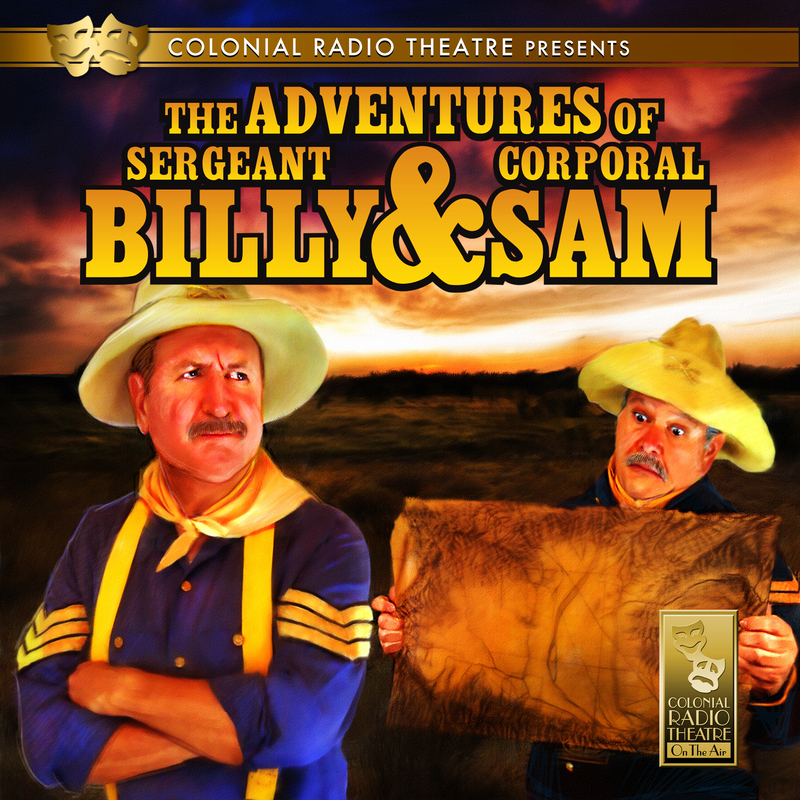 Bill OBrien and Sam Donato return with six fun-filled episodes that have everything from an avalanche on a Canadian mountain to a wagon filled with dynamite and a pet snapping turtle called Petunia! Lots of laughs for the whole family. Episodes include: North to Canada / Calling All The Wild / I Ski, You Ski / More Koppenhoppers / Two Gals and a Sarge / Daring Rescue. Sgt. 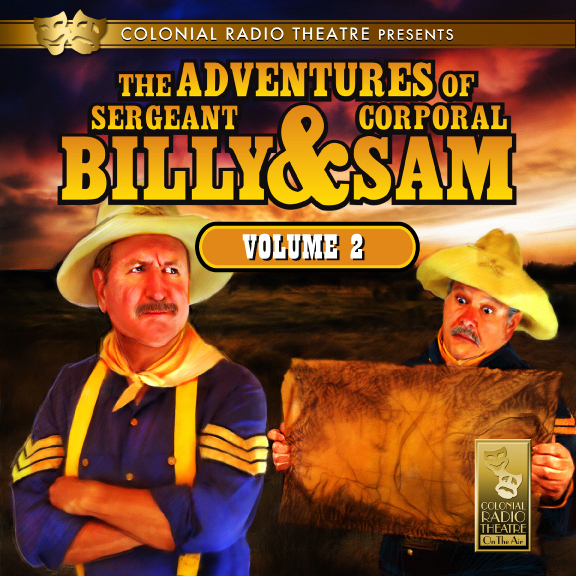 Billy and Corp. Sam are sent on a dangerous mission to recover the stolen payroll box intended for Fort Cannon Ball in Bended Bow Arizona. This six episode comedy series stars Bill O'Brien, who co-starred for many years with Rex Trailer on the popular children's show "Boomtown," that enjoyed a twenty year run on WBZ TV in Boston. Bill is reunited with another Boomtown alumni, Sam Donato, for this fun and hilarious adventure that travels from Whiskey Flats to Twitty Badlands, and the final showdown at Rio Loco. THE ADVENTURES OF SGT. BILLY AND CORP. SAM is filled with some great banjo plucking tunes and lots of laughs for the entire family. Episodes include: Double Cross At Criss Cross/ The Kissing Bandit/ Run A Crooked Mile To Catch A Crooked General/ Ride The Low Country/ True Split/ Rio Loco. What if you hated your next door neighbor...and he has just been elected President of the United States? 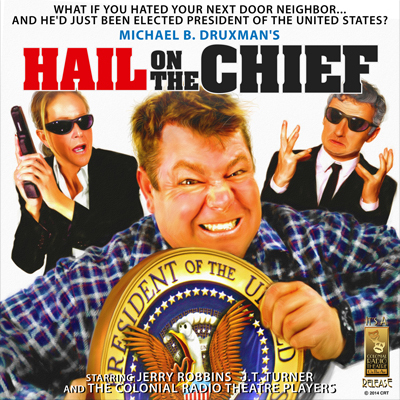 In Michael B. Druxman's outrageous comedy, HAIL ON THE CHIEF!, Jerry Robbins stars as cantankerous gentleman rancher Oliver Pettridge, who hates his neighbor, a former cowboy movie star. He's hated him for years over a property line dispute. This neighbor has just been elected President of the United States. Now, Oliver must deal with all the inconveniences that anyone living next to the President must endure...including a paranoid Secret Service Agent (Fred Robbins). After the agent "bugs" Oliver's house, Pettridge decides to declare "war" on the Secret Service. With J. T. Turner, James Tallach, Amy Sheridan, Joe Caliendo Jr. Diane Capen. CONTAINS ADULT LANGUAGE AND CONTENT. PARENTAL DISCRETION IS ADVISED. 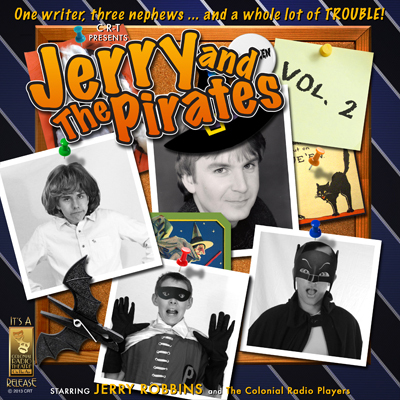 Set in the lovely seacoast town of Marblehead Massachusetts, JERRY AND THE PIRATE is CRT's homage to the classic TV sitcoms of the 60's and 70's (complete with the ill-timed laugh track). Jerry Robbins stars as Jerry Davenport, a motion picture screenwriter who has left Hollywood for the quite serenity of the craggy shores of the east coast. That serenity is soon shattered with the arrival of his three nephews, played by Rob Cattell, Connor Doherty and Ricky MacDonald. Co-Starring CRT's favorites Diane Capen, Lincoln Clark, Marcia Friedman, and J.T. Turner. 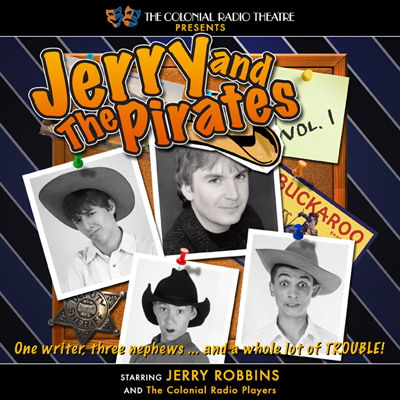 Originally broadcast on Sirius XM Book Radio, JERRY AND THE PIRATES is a good old fashioned comedy the entire family will enjoy. 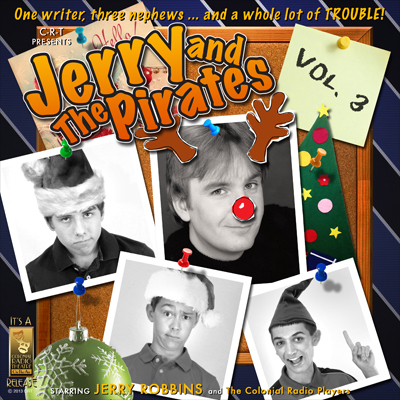 Ep 01: SHIVER THE TIMBERS: While rushing to complete a script on a deadline, Jerry's three nephews arrive unexpectedly. Ep 02: EVERYTHING'S COMING UP PETUNIAS: When Jerry refuses to write a speech for Mayor Quigley to give at the Petunia Lovers of America Convention, the kids write the speech and deliver it to the Mayor in Jerry's name - hoping the Mayor will allow them to ride their four-wheelers on his property. 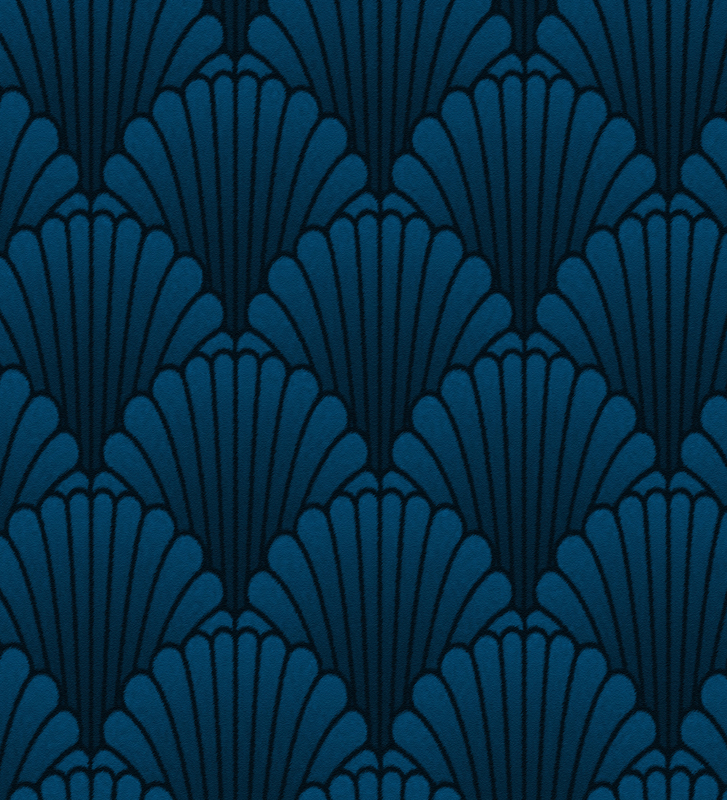 Ep 03: THE HOUSEKEEPER COMETH: It's Mrs. Thorns first day on the job, and she causes some ripples with the household schedule. Ep 04: THE HORN BLOWS AT MIDNIGHT: Richie takes trombone lessons in hopes of joining the marching band at school. Ep 05: BUILDING RAMPS: Richie builds several ramps in the back yard for his four wheeler. All is well ntil they hit metal, and think they may have found some buried treasure. Ep 06: GUNFIGHT AT THE OKEY-DOKEY CORRAL: Jerry is writing a western, and Preston wants to go pumpkin picking. Preston takes over the script writing to hurry things along. Ep 07: THE HALLOWEEN HORROR: While out trick-or-treating, the boys stumble upon Dracula's castle. Ep 08: THE HISTORY LESSON: With Paul in a panic over an upcoming history test, Jerry takes the boys to historic sites in Boston, including Concord's Old North Bridge and Lexington's Battle Green. Ep 09: THE STUCK UP BRIDGE: When the Marblehead bridge is stuck upright, making it impossible for Preston to return home, Jerry devises a unique plan to get to the other side of town. Ep 10: WOODEN SHIPS AND IRON HISTORY TEACHERS: Paul is having trouble with his new history teacher, Mrs. Banneker, AKA Battleaxe Banneker. Ep 11: PASS THE STUFFING: It's bad enough that Preston has been cast as a turkey in his school's Thanksgiving play - it's double bad when a malfunctioning zipper makes it impossible to get out of his costume. Ep 12: WHEN LOVELY AGATHA CAME TO TOWN: May Quigley's niece arrives for a visit, and Paul agrees to show her the town. Episode 13: CRANKERS BIG DATE. Arriving unannounced and uninvited, with a headache, Mr. Cranker accidentally takes two sleeping pills instead of two aspirin, at a restaurant with Jerry and Tracy. Episode 14: PINOCCHIO PRESTON The story of Pinocchio is retold – pirates style. Episode 15: CHRISTMAS SHOW Jerry and the Mayor do some last minute shopping, while the kids stay home and decorate the tree. Episode 16: EVERY ROSE HAS A THORN Mrs. Thorn does not win “The Housekeeper of the Year” award and sends an angry email to the committee. Episode 17: THE DAVENPORT MELLER-DRAMMER The boys stage a show to raise money for paintball. Episode 18: PRESTON’S PET Preston brings home a horse.